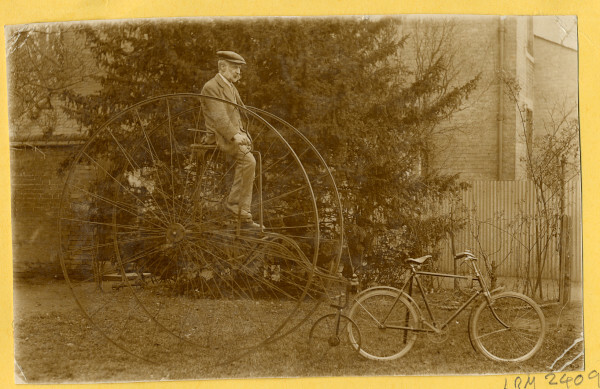 Sepia photograph of a man on an old bicycle with a more modern design alongside, presumably for comparison. 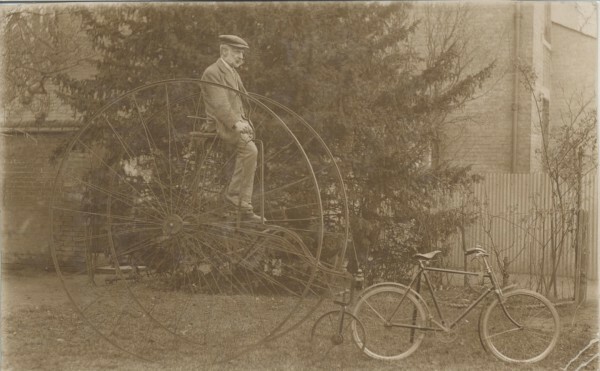 The bicycle is most probably a c. 1880 tricycle, invented partly for greater stability than bicycles like the penny farthing, and also to provide greater dignity for ladies and gentleman alike. 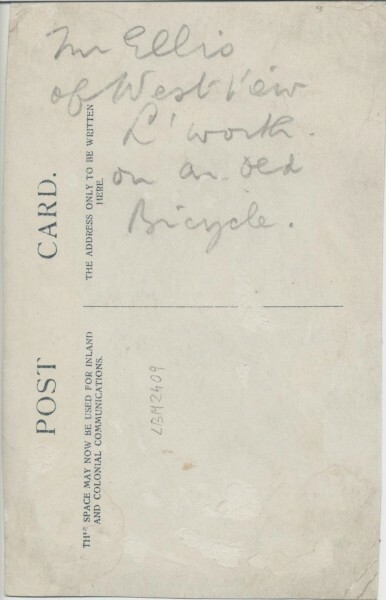 A note on the library card to which the photograph was found attached states: ' Mr Ellis, West View, on old bicycle.'. This is most probably Mr Bernard Ellis, son of Reverend and Katherine Ellis who married Margaret Ellis nee Harkness (sister of Wilfred and John (and Frederick?) Harkness. c. 1920. See also LBM2410 which shows the bicycle alone.